Our thoughts and prayers go out to Paul Mrocka and his family after his father Frank passed away earlier this week. Paul is the founder of the Schroon based Paradox Brewery. His dad loved this area, in particular Paradox Lake. It was there Frank witnessed his son turn his passion for home brewing into what has become one fastest growing and popular craft breweries on the east coast. In recent years he was the guy with a big smile and baseball hat enjoying a cold ale under the beer tent at the Paradox Brewery. Kevin Spellman, Tyler Mrocka , COREY MROCKA and Erin Spellman WITH FRANK AND HIS WIFE Althea . He graduated from Goshen High School in 1947 and worked in the Franklin Mines (NJ) and played semi-pro football for the Franklin Minors. He enlisted in the Air Force in 1951 and upon his discharge he attended RCA Institute in NYC. Upon graduation in 1954 he joined United Press International as a telephoto engineer. Frank retired after 38 years with UPI where he covered North, South, and Central America. As an engineer, he attended countless important sporting events including many World Series, World Soccer cups and the 1980 Olympics in Lake Placid. In addition, Frank covered two Papal visits along with the 1960 presidential election, meeting John F. Kennedy in Hyannis Port that evening. Frank enjoyed a great game of golf and was known for his ability to fix anything, often called upon by family and friends for his expertise. Frank is survived by his loving wife of 62 years, Althea (nee Ferguson). 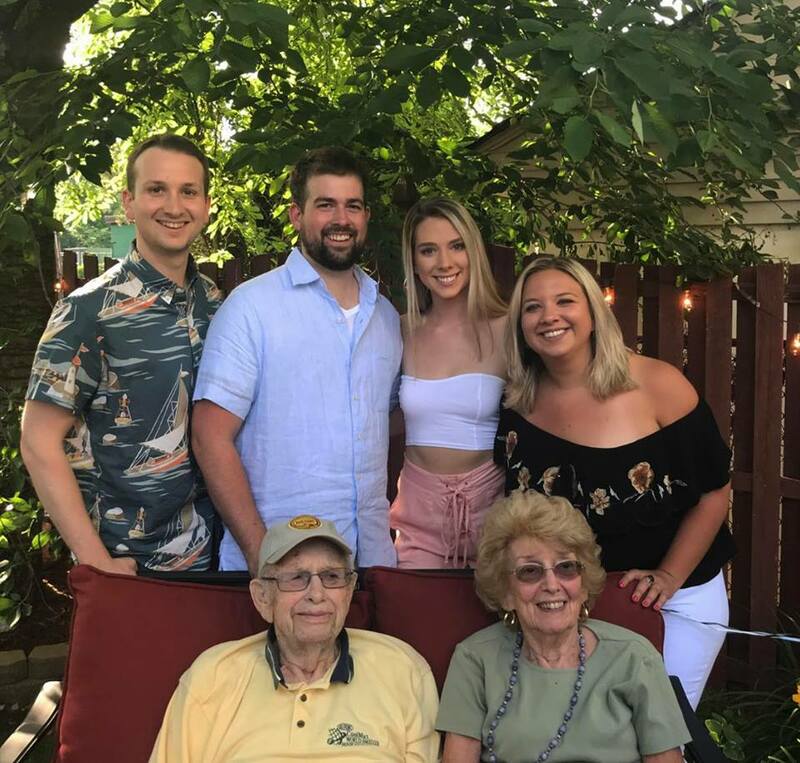 He was a devoted father to his three children, Kim (Spellman) and her husband Philip, Paul and his wife Joan, and Robert and his wife Susan along with four grandchildren - Tyler and Corey Mrocka, Erin and Kevin Spellman. In addition he is survived by his sister Stella Jordan and many nieces and nephews. He was predeceased by his four sisters, Mary Pierce, Catherine Gerczak, Anne Dul and Caroline Carter. Friends may call from 4-8 pm on Friday, August 10, 2018 at Gaita Memorial Home, 154 Newark Pompton Turnpike in Little Falls. A funeral mass will be held at Our Lady of the Holy Angels, 473 Main Street in Little Falls at 10 am on Saturday, August 11, 2018. Please meet directly at the church.